This publication documents an exhibition-oriented initiative that prompts artists and architects to develop installations highlighting Rudolph M. Schindler’s domestic experiment. 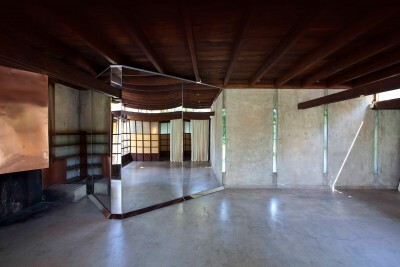 Each year the MAK Center for Art and Architecture at the Schindler House greets a myriad of local, national, and international visitors intrigued by this early (1922) example of Los Angeles modernist architecture. Visitors often ask detailed questions. They are curious about Schindler’s thought process when designing and constructing the house; how the house has been used, understood, and canonized throughout the decades; and how the house is holding up today. Inspired by these visitors’ questions, the MAK Center, in collaboration with series initiator Sara Daleiden, developed Schindler Lab.